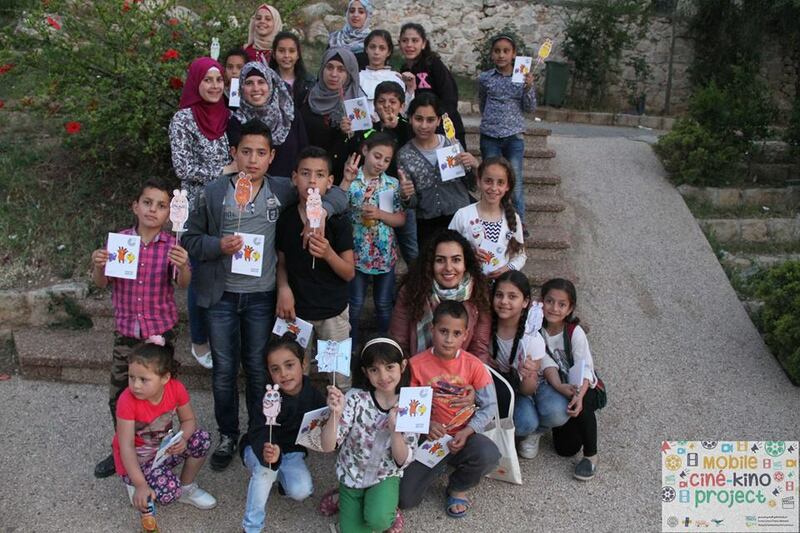 In early April the Seraj Library Project joined the Tamer Institute and other educational organizations to sponsor this year's Palestine National Reading Week in Ramallah. Seraj had the most attendees of any organization and again Seraj brought numerous creative activities to the event. We hope Seraj's participation in this annual event will encourage more and more organizations and children to take part. Pictures above are also from National Reading Week. 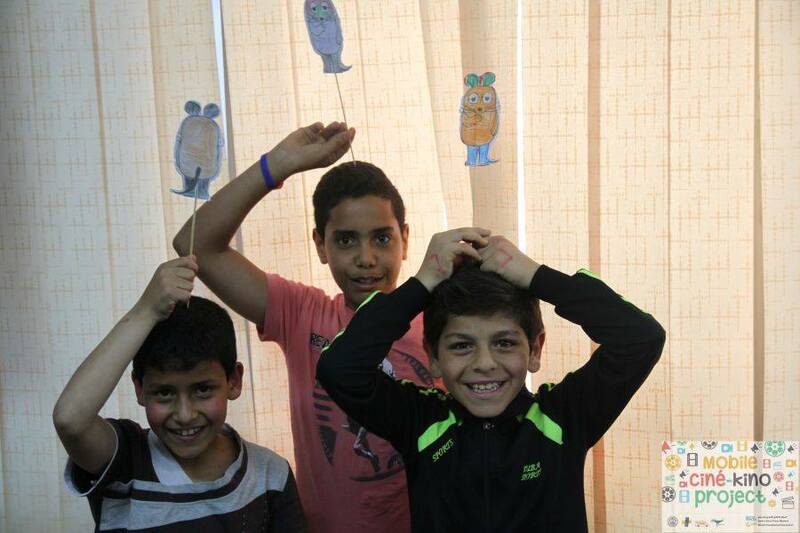 Partnering with the Franco-German Cultural Center in Ramallah and Al-Quds University, Seraj has just completed a project teaching our kids to observe, think about and ask questions about science. Because many Palestinian schools tend to be traditional, memorization-based, teaching problem-solving and critical thinking is important. A French trainer taught our volunteers how to conduct age-appropriate science experiments, to teach children how to formulate relevant questions. Then came a French/German bibliobus to each of our libraries showing science films dubbed in Arabic, conducting a science experiment and encouraging the kids' questions. 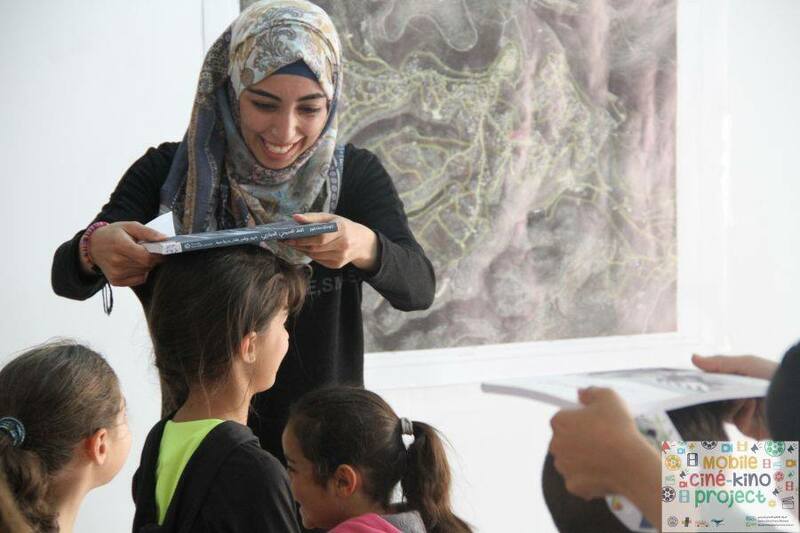 Finally, the children, together with Seraj volunteers traveled to Al-Quds University to hear from professors and have their questions answered, followed by visits to a Math and a Science Museum. They were given a glimpse of university life and experienced adults listening and responding respectfully to their questions. Each of our children received a "graduation" certificate. There's more follow-up to come, but this is the kind of supplementary education that will help these children thrive as adults. Seraj is proud to announce the publication of another important book by Dr. Ghada Hashem Talhami, internationally recognized scholar, Seraj Library Project Board member and generous supporter of the Palestinian people. Read what Dr. Glenn Perry of Indiana University and others have written about Dr. Talhami's most recent publication. Continuing her well-known tradition of fine scholarship, Ghada Talhami’s American Presidents and Jerusalem provides essential reading for anyone who is concerned with the evolution of the Jerusalem issue and the broader question of Palestine, from which it cannot be separated. The programs and activities Seraj sponsors throughout the year has clearly attracted other educational organizations to want to partner with Seraj. Fidaa', our creative consultant, volunteers and children contribute time and energy, but all these programs cost money. Please consider a gift to Seraj to help our partners continue to grow. Making your gift monthly helps us all to plan. It's easy and quick to donate online. Thanks!